China, 1957: Chairman Mao has declared a new openness in society. 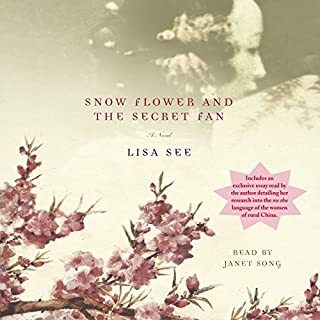 “Let a hundred flowers bloom; let a hundred schools of thought contend.” Many intellectuals fear it is only a trick, and Kai Ying’s husband, Sheng, a teacher, has promised not to jeopardize their safety or that of their young son, Tao. But one July morning, just before his sixth birthday, Tao watches helplessly as Sheng is dragged away for writing a letter criticizing the Communist Party and sent to a labor camp for “reeducation”. Once again, Tsukiyama brings us a powerfully moving story of ordinary people facing extraordinary circumstances with grace and courage. Excellent book about China revolution. 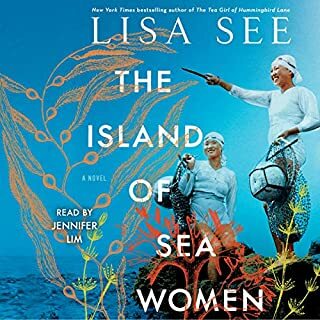 As World War II threatens their comfortable life in Hong Kong, young Joan and Emma Lew escape with their family to spend the war years in Macao. 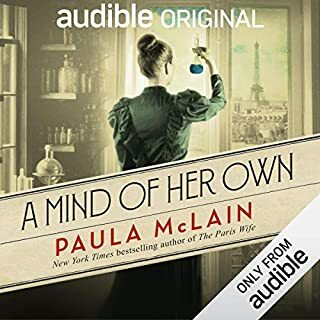 When they return home, Emma has developed a deep interest in travel and new experiences, while Joan has turned to movies and thoughts of romance to escape the problems of ordinary life. It is Tokyo in 1939. On the Street of a Thousand Blossoms, two orphaned brothers are growing up with their loving grandparents, who inspire them to dream of a future firmly rooted in tradition. The older boy, Hiroshi, shows unusual skill at the national obsession with sumo wrestling, while Kenji is fascinated by the art of creating hard-carved masks for actors in the Noh theater. Across town, a renowned sumo master, Sho Tanaka, lives with his wife and their two young daughters: the delicate, daydreaming Aki and her independent sister, Haru. Life seems full of promise as Kenji begins an informal apprenticeship with the most famous mask-maker in Japan and Hiroshi receives a coveted invitation to train with Tanaka. But then Pearl Harbor changes everything. As the ripples of war spread to both families' quiet neighborhoods, all of the generations must put their dreams on hold - and then find their way in a new Japan. 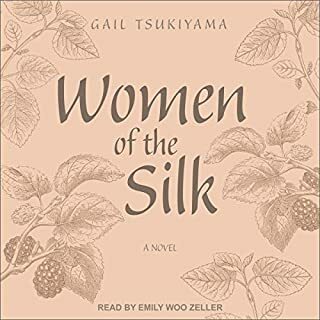 In an exquisitely moving story that spans almost 30 years, Gail Tsukiyama draws us irresistibly into the world of the brothers and the women who love them. It is a world of tradition and change, of heartbreaking loss and surprising hope, and of the impact of events beyond their control on ordinary, decent men and women. Above all, The Street of a Thousand Blossoms is a masterpiece about love and family from a glorious storyteller at the height of her powers. 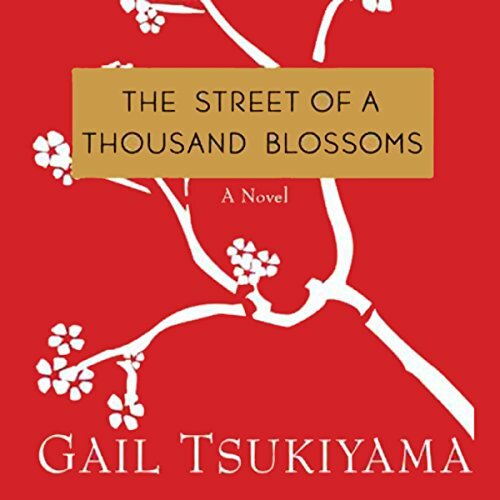 Street of a Thousand Blossoms is the best Gail Tsukyama book I have read so far! Taking place in Tokyo prior to WWII, it follows the lives of two brothers raised by their grandparents as one becomes a Sumo champion and the other a famous artisan. Life in Japan leading up to, during the war and afterwards is brought to life in vivid detail through the lives of very well-developed characters. I enjoyed this book immensely and recommend it highly to anyone who loves historical fiction - this is as good as it gets, I think. This is a new author to me, so I was a bit hesitant at first. I'm glad I decided to listen, as it was very enjoyable. Also, I noticed quite a few similarities between this audio book, and the movie "Letters from Iwo Jima". A bit interesting, simply because of the number of times I recognized something in common between both stories (which both took place during WWII). A great listen if you haven't already purchased it! For evoking a sense of time and place and mood, I give this story 5 stars. It is beautifully written and very well read by the narrator. However, there really was no STORY or conflict or surprises. All the grandparents were sage and wise. All the parents were happily married. All the kids were good and succesful and followed their dreams. And any potentially messy plot points were neatly resolved with a kind word or two from someone, or a convenient outside event. As a mood study of Japan just before and after WWII, this book is very successful. As a story, it is not. I love the interpersonal relationships that Gail creates. the emotions are so strong. The joys are also so strong.. excellent relaxing book to enjoy. This book has so many elements that I love, but somehow despite earnest trying, I couldn't get past the dreadful narration. I really loved the story and the reading was really good too. I had been worried after reading some reviews that the Japanese pronunciations would be odd or bad but I was not bothered by them at all (but I not a native Japanese speaker so maybe that is why.). 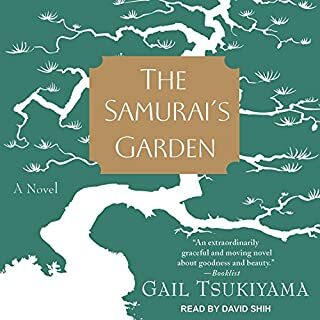 I really have enjoyed Gail Tsukiyama’s books and this did not disappoint!! Enjoyed the book and the narrator was excellent in delivering images to the theater of the mind! Was drawn in from the very beginning. I can’t recall a more disappointing book-reading experience. I rarely give up on books after the half-way point — so close to the end! just finish it! — but this was too torturous to finish. Tsukiyama has a very distinctive writing style that will either appeal or not. In my case, it did not. What others may hear as minimal and beautifully unpretentious, in my ears was weak, flat and lifeless. So there was a fairly significant style problem right from the beginning. I also hated that Japanese words were thrown into the story, but then explained… along the lines of: “She put on her kimono – a kind of traditional robe – and went outside”. This is an exaggerated example but definitely representative. It kept taking me out of the story and reminded me that this is a story about Japan, for non-Japanese, and there was something really irritating and irksome about that. To describe the two protagonists, Hiroshi and Kenji, as characters is an undeserved compliment… they were actually caricatures. Hiroshi is a first-class sumo wrestler and Kenji is a first-class Noh theatre-mask master… two of the most stereotypical and impossibly niche career choices imaginable. I’m trying to imagine a story set in 1940’s Australia with one brother as a famous kangaroo wrangler and another as the architect of the Opera House. Actually that’s a bad example… that in fact sounds like a good book. I think this sounds like a petty criticism, but you’re just going to have to trust me – they seemed like caricatures. And I couldn’t decide if they were meant to represent some kind of fantasy parable of distilled Japanese culture, or if Tsukiyama was genuinely trying to tell an everyday story about a normal family but lazily reverted to recognizable typecasts. It’s one thing to dislike a book, but another altogether to have high expectations that are then dashed. I really wanted to like this, as it was recommended in Japan (Lonely Planet Country Guide) as one-of-two novels to read before visiting Japan. The other recommended novel was Hiroshima Diary… I hope that’s more my scene. A bit hard to follow, yet a wonderful listen. The actual plot was not certain to me yet the details of Japanese culture and interesting and nicely written. I will listen to this again. 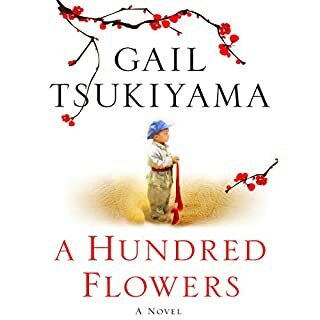 And am planning read more from Gail Tsukiyama. If you could sum up The Street of a Thousand Blossoms in three words, what would they be? The grandmother, very strong lady! What about Stephen Park’s performance did you like? If you could rename The Street of a Thousand Blossoms, what would you call it? I would leave it just the way it is. Beautifully written and narrated wonderfully, I felt I'd been transported into the lives of the characters. Very sad at times, so sad in fact that I had to leave the story and return to it a little later on a couple of occasions. I've only just finished but miss it already. A beautiful story. The characters are so rich with history and so vivid in description. If you are searching for a gripping slice of life story give this one a try.